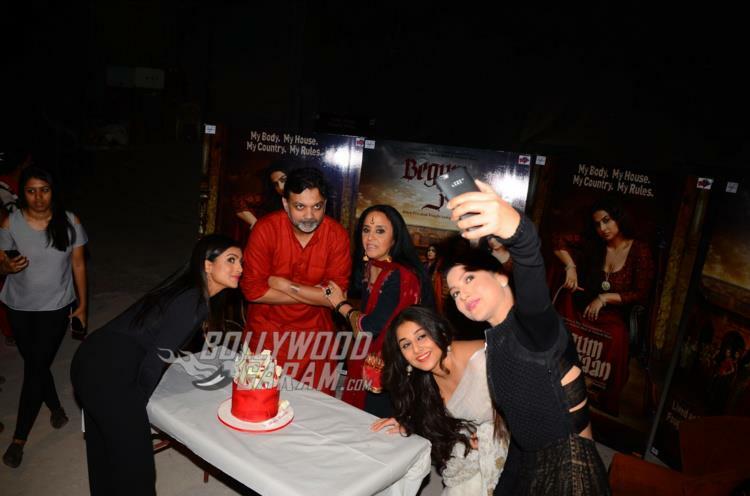 The entire cast of upcoming movie ‘Begum Jaan’ gathered to celebrate actress and singer Ila Arun’s birthday in Mumbai on March 15, 2017. 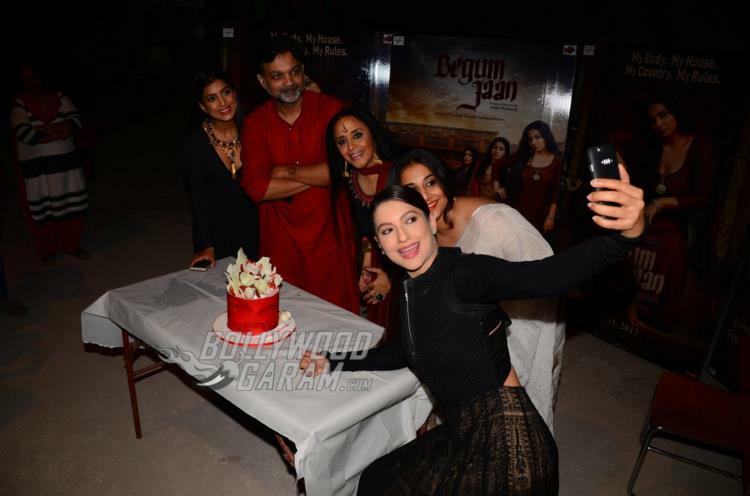 Actors Vidya Balan, Gauahar Khan, Pallavi Sharda and director Srijit Mukherji were seen celebrating Ila Arun’s birthday and also promoted ‘Begum Jaan’. 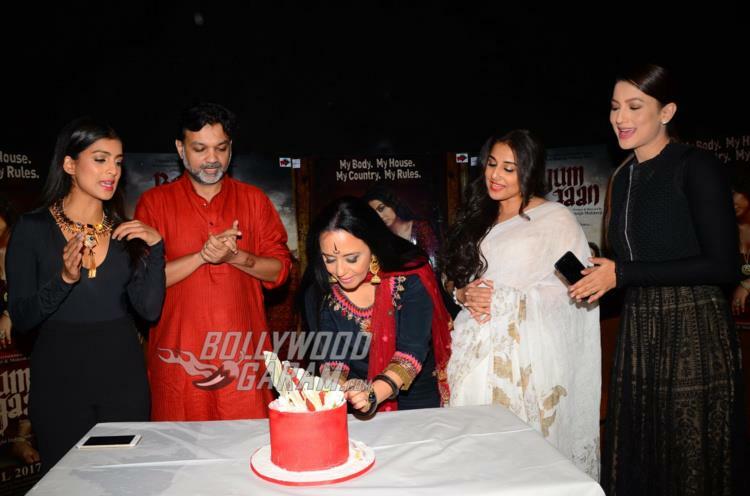 Ila was seen cutting a large red cake in presence of the media, co-stars and director. 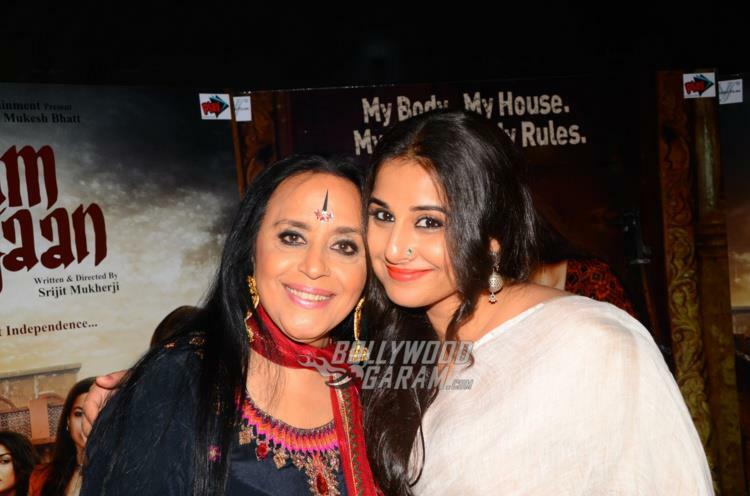 The singer looked great in an ethnic outfit while Vidya was seen in a white sari. 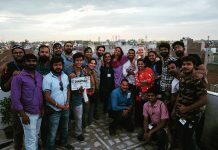 Actress Gauahar looked great in a navy blue outfit while Pallavi appeared in a full sleeve top and black pants with wide bottoms. 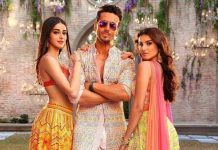 Ila, Gauahar, Pallavi and Vidya will be seen playing vital roles in the upcoming movie. 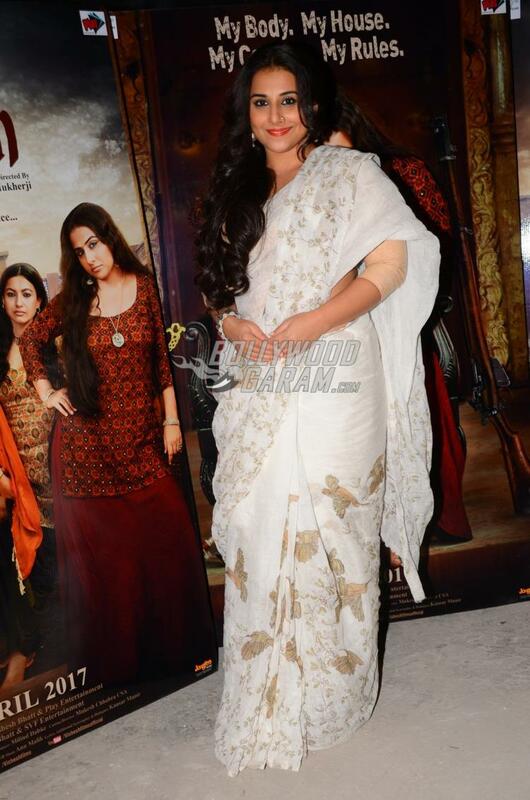 Once again Vidya will be seen playing a very powerful role of the madam of a brothel while the other girls will be seen playing prostitutes. 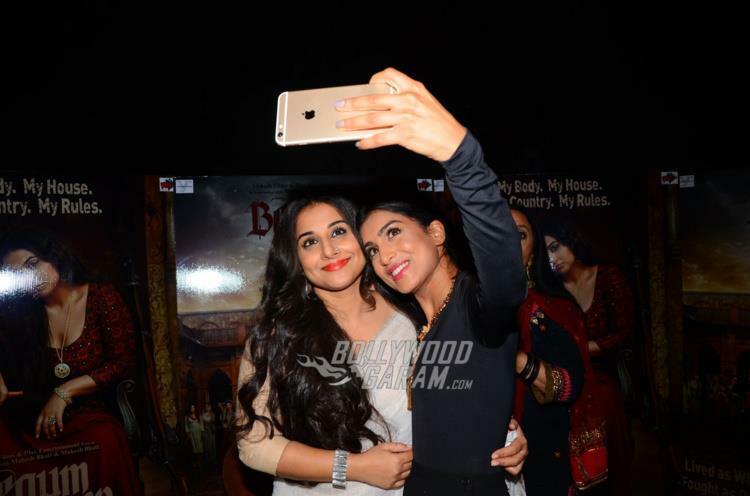 ‘Begum Jaan’ is co-produced by Shree Venkatesh Films and Sakshi Bhatt and is due to hit the theatres on April 14, 2017.